Traveling is one of the most amazing things that you can do with your life. It might even inspire you to move to a new city or country. When you add extra purpose to your experience, such as work study or traveling with your partner, it becomes even more life-changing. Maybe you have always wanted to study abroad or experience working in a new country. Maybe you and your partner share the dream of living overseas. You want to spend time in a new country or city together to discover if it is a perfect fit for a new life. Sharing the experience of traveling with your partner can be an exciting, scary, fun and powerful. There is no better way to strengthen your relationship than to experience new things together. We spoke with Poliana and Danilo, a married couple from Brazil who arrived in Canada in August 2018. Poliana and Danilo have been together for 7 years. They were college sweethearts and fell in love at first sight. They currently study Web and Mobile App Development at Cornerstone’s new Tech Campus on Granville Street. Both Poliana and Danilo had good tech-based jobs in Brazil, but they were ready to study and gain more skills. The tech industry is always growing. It is important to upgrade your skills to keep up with the needs of the job market. Vancouver is an amazing place to continue this career! It has been named the ‘tech-hub of the world’ because so many companies are choosing to grow here, such as Amazon, Apple, and Microsoft. Why did you want to study together, as a couple? They explained that it has always been an interest to have this kind of experience. They love studying the same program and traveling as a couple because they have the same schedule. Seeing Vancouver’s snowy mountains and people watching at Granville Island is much more memorable when you can do these things with someone. Poliana told us ‘it is important to have time together and our schedule lets us do this’. Danilo and Poliana both told us that ‘Vancouver is a beautiful city’. They love how multicultural it is and that they have stayed good friends with their previous host mother, who is from Croatia. They described her as ‘our Canadian Mum!’. Your friends and family back home will love to hear the stories about your new adventure. The journey to grow personally and professionally will be a great sense of achievement, so having your partner join you on the same journey can make you feel extra proud! If you have someone with you when you are in a new place, you are more likely to make better, safer decisions. You will share every day responsibilities such as finances, paperwork and planning where to adventure at the weekend! Poliana explained that she is impressed with how easy it is to use transit in Vancouver. She explained that it is much more simple, safe and convenient compared to Brazil. Danilo explained ‘we have a minimal life here with less pressure’. 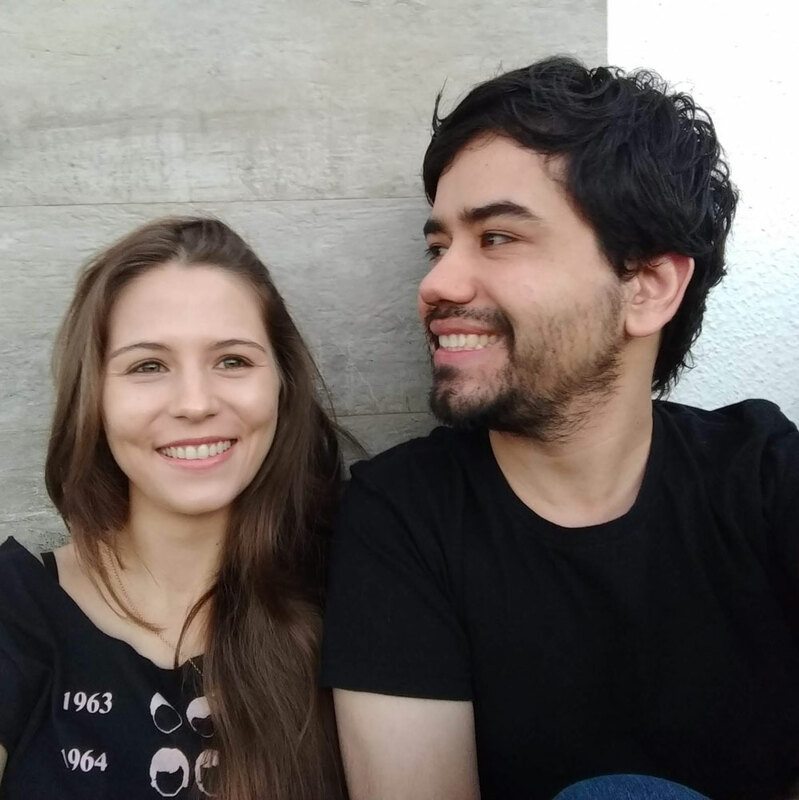 Danilo and Poliana have also been able to make a lot of friends together, support each other with language and cultural differences and share the new experiences with someone that they care about. Being immersed in a new culture, language and way of life will push you out of your comfort zone. You will have good days and bad days and things do not always go to plan! It is great to have support from someone close to you in challenging times and to be able to offer some understanding support to them also. You might be miles away from home, but it will never feel too far away if you have your partner by your side. Studying together can present you with a perfect opportunity to develop your professional skills, learn and improve your English and also discover a new way of life. 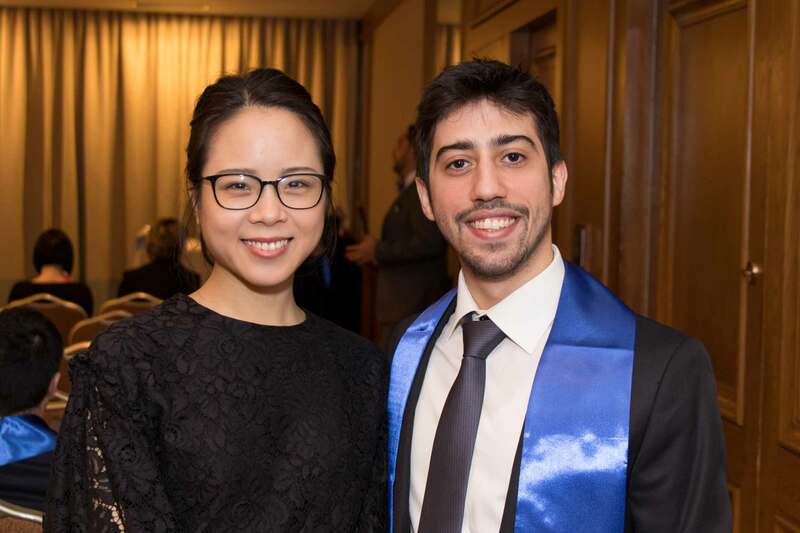 It was easy to see how happy Danilo and Poliana are with their decision to study together in Vancouver. Their smiling faces and easy replies showed us that they are comfortable here and excited for a future in Canada. If you have ever thought about studying abroad or moving overseas with your loved one, then you will know that it can be a challenge to know how to start. Cornerstone knows this and wants to make it easy for you to have the experience of a lifetime. If you study full time, your partner will receive 30% discount on their chosen course at Cornerstone. For example, this means that if you want to pursue a great career in Web and Mobile App Development, your spouse can gain a qualification in International Business Management or vice versa! You can also use this to learn and develop your English skills with a full-time ESL course. The instructors and staff at the college are full of knowledge and have lots of experience in helping students to settle in to life in Canada. They can answer your questions and provide all the details on getting started.